Found one file extension association related to Superior SQL Builder and 1 file format developed specifically for use with Superior SQL Builder. 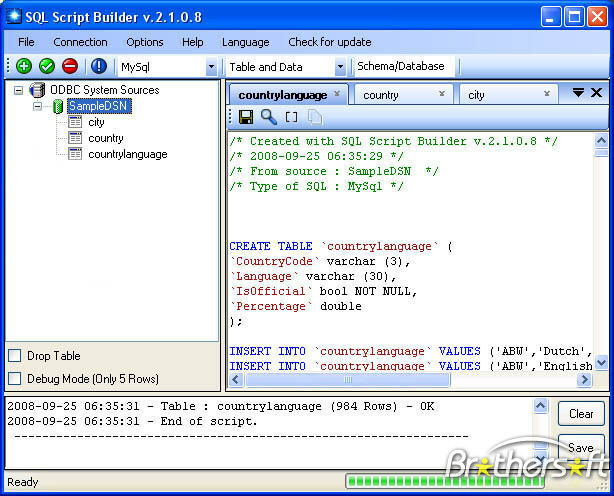 Visually build complete SQL scripts - other query tools only build single SQL queries. Introduce massive time savings and reduce debugging, syntax and logic errors. Easy to use. Build complex SQL scripts without typing any SQL. Incredibly versatile, flexible and extendible - users have complete control over the SQL that is generated. The Superior SQL Builder software seems to be old or discontinued. If you need more information please contact the developers of Superior SQL Builder, or check out their product website.